The Turkish army received the go-ahead from the country’s parliament to engage in military action against Islamic State insurgents in Syria and Iraq. 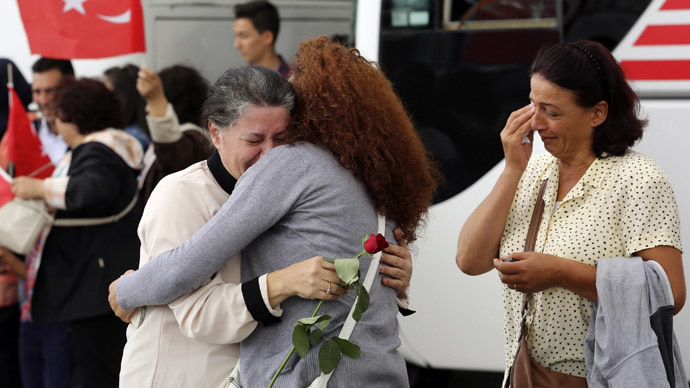 Meanwhile, a senior NATO official said the bloc's involvement is “practically” possible. Ankara lawmakers on Thursday also authorized foreign forces on Turkish territory when participating in operations against the Islamic State (IS, formerly ISIS/ISIL). "The rising influence of radical groups in Syria threatens Turkey's national security...The aim of this mandate is to minimize as much as possible the impact of the clashes on our borders," Defense Minister Ismet Yilmaz told parliament. 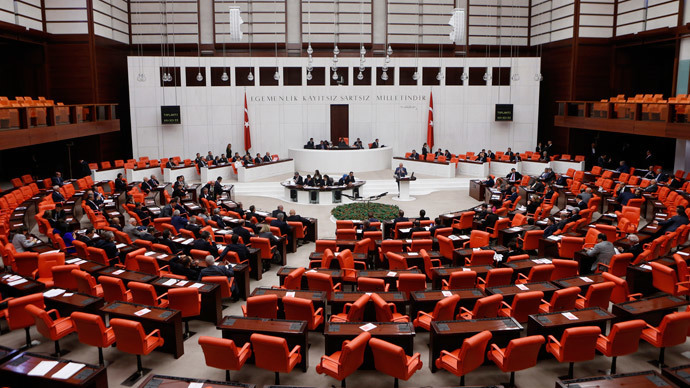 Parliament approved the new one-year mandate, with 298 deputies voting in favor and 98 against the motion. However, no specific commitments have been made just yet. “You shouldn't expect any move immediately after the mandate” passes, Yilmaz told reporters before the parliament vote on Thursday. Part of the mandate dealing with foreign troops in Turkey directly references US pressure on Ankara to permit the use of Incirlik air base in the Adana region, located in the south of the country. Parliament’s decision followed a change in the nation’s defense policy signaled by President Recep Tayyip Erdogan last week as Islamic State fighters came close to the Turkish border with northern Syria. Erdogan said on Wednesday that Turkey will join the US-led fight against terrorist groups in the region, including Islamic State militants. 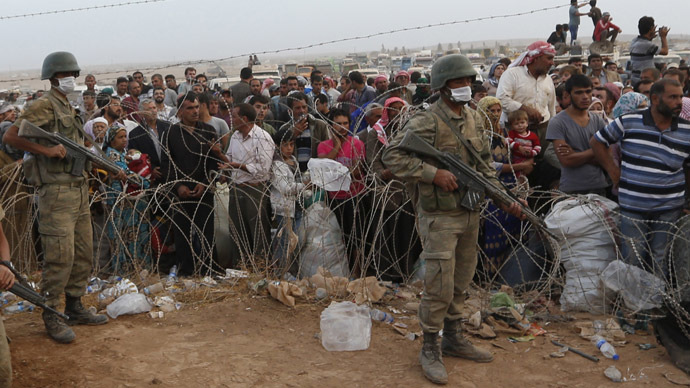 Until now, Turkey had refused direct military involvement in the conflict. 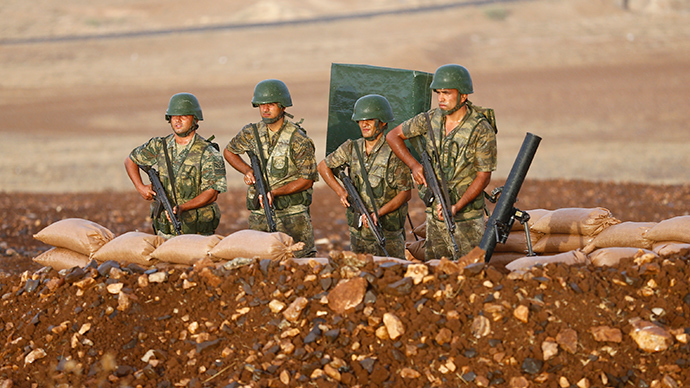 Syria has warned Turkey that it will regard deploying troops inside its borders as an “aggression” – “against a founding member of the United Nations.” In a Foreign Ministry statement issued on Friday, Syria called on the international community to "put limits to the adventures of the Turkish leadership," SANA news agency reports. More than 30 nations have committed to the US-led coalition against Islamic State militants. Moreover, it is technically possible for NATO to join the US-led campaign against ISIS, but the decision has not yet been made, chairman of NATO’s Defense Committee, General Knud Bartels, said at a press conference on Thursday. Bartels revealed that members of the alliance have been discussing the issue and proposing various ideas.